To compete with others to see who is fastest at covering a set course or achieving an objective. 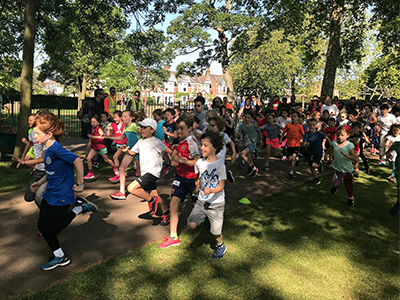 "The park run is more of a bonding community experience than a race, our kids love it"
Feeling lively? Spring in your step? 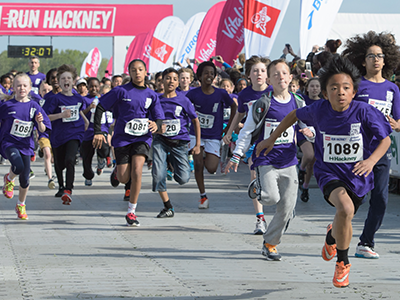 Several runs and races geared at families with children take place in London throughout the year. See what's on this and next weekend, for instance, below. As we know, kids who are committed to sport learn the values of hard work and determination, great habits to adopt early in life. Then there are the health benefits... Aspirations can be whatever you want them to be: start slow and enjoy taking part, improve personal bests, or take on a half marathon (more advice on that here). Download Kinfo to discover all manner of sporting activities, as well as recommended books, films, workshops... Your kids will thank you for looking out for them. So will parents, if you download the app and share recommendations of your own. Don't forget, we have a brand new version for iPhone and now Android! So update your app in the app store here. Have a great bank holiday and half term. 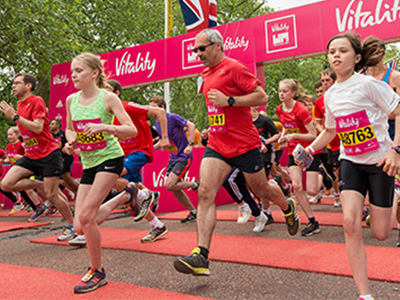 Sunday's Vitality Westminster Mile takes place along the most iconic mile in the world: from The Mall to the finish line in front of Buckingham Palace. 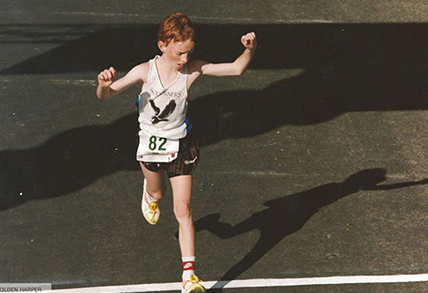 There are races for families, juniors (11s-and-under can enter free) and elite athletes. Applications are now closed but you can still turn up to show support, you might even catch a glimpse of Sir Mo Farah. Route here. Next weekend (June 2nd) has the annual memorial fundraiser for Great Ormond Street and Radio Lollipop taking place in Walhamstow. It's another nice and easy one mile race for all "ages, shapes, sizes, abilities, prams, dogs, dogs in prams...". Just £4 to enter. Weekly 2k events for kids aged 4-14, find one near you here. (Teens get the chance to try longer courses). Registration is free and the aim is solely to have fun. "Don't forget to register, bring your barcode and your legs, and off you go!" A beautiful event... not just for the Instagrammers! 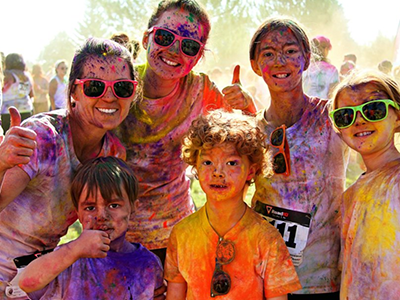 It calls itself "the happiest 5k on the planet". London's date is July 3rd. A mum of 3 who did it as part of a group in Brighton recommends it, but there are plenty more held all over the country. Tickets cost £10 for 5s-and-under, otherwise £25, here. 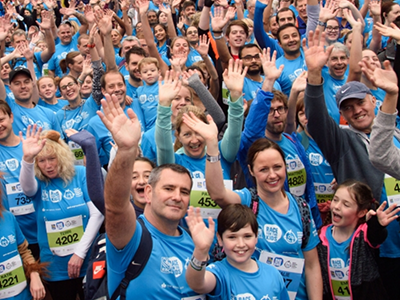 Supported by the Royal Bank of Canada, this is an annual series of charitable runs supporting children's causes in different countries and as such they take place all over the world. The London one is in October – sign up here. All profits go to the Great Ormond Street Hospital. Recommended by a mum on Kinfo, these are perfect for young children. 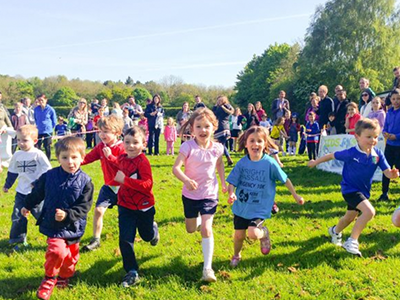 They are held regularly in various green spaces across the central and south-east with the aim to "inspire children, from toddlers to teens, to run together for fun and enjoyment, and always for free". 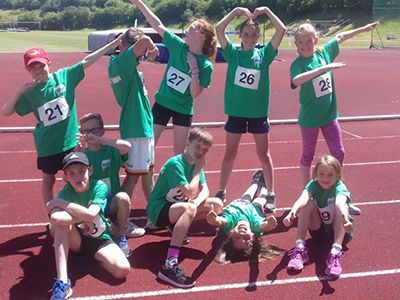 If your child is a local primary school child, get the teacher to sign the class up to this popular half marathon. 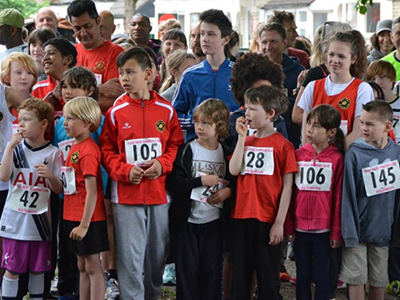 Kids run a mile a week, culminating in the final mile at this well-loved half marathon. They take place in May, so get in training for next year! On the first Sunday of the month at the Parliament Hill athletic track, from 12midday-2pm. Registration starts from 11-11.30am. This mum thinks it's usually £3 per child, for ages 4-5 years up to 12. No need to pre book, just turn up on the day. You have already inundated by emails regarding how the EU laws have changed to give you more transparency and rights about your personal information. Trust and transparency have always been at the core of what we do at Kinfo so we have always been extra careful regarding the protection of your data, how we collect them and why we collect them.